Scarlett Ingrid Johansson was born November 22, 1984 is an American actress and singer. Scarlett Ingrid Johansson was among the world’s highest-paid actresses from 2014 to 2016, has made multiple appearances in the Forbes Celebrity 100, and has a star on the Hollywood Walk of Fame. 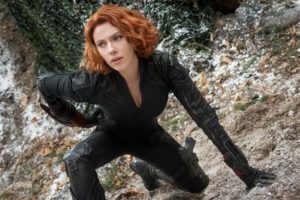 Born and raised in Manhattan, New York City, Scarlett Ingrid Johansson aspired to be an actress from a young age, and first appeared on stage in an Off-Broadway play as a child. Johansson made her film debut in the fantasy comedy North in 1994 and was nominated for an Independent Spirit Award for Manny & Lo in 1996. Scarlett Ingrid Johansson gained further recognition for her work in The Horse Whisperer in 1998 and Ghost World in 2001.